Here’s a really interesting idea. The Dirt Tracks new single is three songs in one, but not in the style of say, “Bohemian Rhapsody”, where each distinct section segues into the next; it’s a bit more complicated than that and it’s a very clever idea. To get the full impact of “Kaleidoscope”, you need to be able to isolate the right and left stereo channels because the two songs are panned to opposite ends of the stereo spectrum; if you listen to only the left channel, you hear one song and if you listen to only the right channel you hear another song. Still with me? To make this idea work, the songs need to have the same tempo, structure and chord sequences, but after that you can get a bit creative and The Dirt Tracks have got very creative indeed. Each track has its own drum pattern, chiming guitar arpeggios and sampled sounds and stands alone as a complete song. The concept is that one of the songs represents rationality while the other represents emotion and the combination of the two songs demonstrates the conflict in the human mind between the two contrasting approaches to the way we interpret information. So, does it work? When we listen to music in stereo, what we usually hear is a soundscape where various instruments, sounds and voices appear to be positioned at various points from left to right between the speakers or headphones; we expect the lead vocal to be in the centre and anything goes after that. If we hear a sound at exactly equal volumes in the right ear and the left ear, the brain tells us that the sound is directly in front of us. If a sound is louder in the left or right ear, the brain positions it spatially to the left or the right. Have a listen to Thin Lizzy’s “Don’t Believe a Word” to hear how that works; the vocal is in the centre and the two guitars are far left and far right. 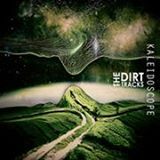 “Kaleidoscope” plays with that concept by pushing everything to the extreme right or left of the stereo spectrum. The two songs are very cleverly dovetailed together with instrumental and vocal parts combining in the stereo mix to create a completely new (but similar) song and the harmonies created are particularly effective. I’m only guessing here, but I suspect that everyone will hear this in a slightly different, personal way which is dependent on the way they process music mentally. I listened to the two individual tracks first before combining them into the complete song. After hearing the individual parts, combining them has a very disorientating effect because we hear sounds in an unusual and unexpected way as the brain struggles to adapt to a new way of listening; the instrumental and vocal parts seem to combine in the centre at times while separating across the stereo channels at others, creating the illusion of moving in and out of phase at times. And that fits in well with the idea of humans having different cognitive styles and processing sensory inputs in different ways. form, is slightly disturbing, but totally captivating and you really should give it a listen. And while you’re doing that, check out the first two singles “The Madding Crowd” and “Never Been to Mars” because they’re very good as well. Available on Monday 5th August on iTunes and Spotify.